The readings are from the Catholic Lectionary for daily Mass, and the headlie is chosen to remind me of the world in which I’m blogging. Someone may ask, ‘How are dead people raised, and what sort of body do they have when they come back?’ They are stupid questions. Whatever you sow in the ground has to die before it is given new life and the thing that you sow is not what is going to come; you sow a bare grain, say of wheat or something like that, It is the same with the resurrection of the dead: the thing that is sown is perishable but what is raised is imperishable; the thing that is sown is contemptible but what is raised is glorious; the thing that is sown is weak but what is raised is powerful; when it is sown it embodies the soul, when it is raised it embodies the spirit. If the soul has its own embodiment, so does the spirit have its own embodiment. The first man, Adam, as scripture says, became a living soul; but the last Adam has become a life-giving spirit. That is, first the one with the soul, not the spirit, and after that, the one with the spirit. The first man, being from the earth, is earthly by nature; the second man is from heaven. As this earthly man was, so are we on earth; and as the heavenly man is, so are we in heaven. And we, who have been modelled on the earthly man, will be modelled on the heavenly man. I wrote yesterday that Paul didn’t think of resurrection, either Jesus’ or ours, as a conjuring trick with corpses. Here is more evidence for that opinion. He uses the example of the transformation of a seed into a plant. His science told him that that these two kinds of life shared an identity but the great difference was evident and there was no understanding of the process of transformation. For him these are two states of being linked by the death of the first and the birth of the second, which is however the true “development” of the first. He applies this metaphor to earthly and heavenly existence. Paul is offering a model to help people imagine the new life but it tells them they cannot imagine “how” it happens any more than they can imagine how the seed becomes a plant. He compares Jesus to Adam, in that Adam is a soul-body, a sentient being, whereas Jesus is a spirit-body, a being open to God and therefore creative, life-giving. It is the Creator’s intention that those who share the life of the first Adam, should also share the life of the last Adam, namely Jesus. But that sharing is a matter of choice. Those who want to share the life of the last Adam, will do so, through God’s goodness. This teaching in no way “proves” that resurrection happens, but it does disentangle the human and the divine (there are no re-assembled corpses nor disembodied souls shooting heavenwards) while showing their point of contact, the life-giving life of Jesus. In Luke’s gospel (as in Mark and Matthew) Jesus gives an explanation of the parable in terms of the how the seeds grow in different soil conditions, from poorly to splendidly. It seems to me clear, however, that the “explanation” does not originally belong with the story: the explanation is about soil, the story is about sowing. 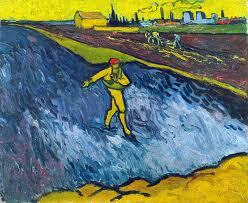 The Sower in the story uses the Palestinian method of sowing before the soil is ploughed. 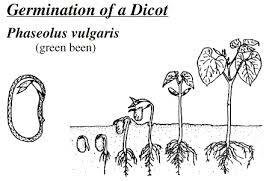 This obviously involves some waste; everybody knows this, but nobody wories about it, because where the seed ends up in decent ground, it grows plentifully. That’s the ordinary confidence of all sowers. If they became obsessed with possible waste they would never sow. This is Jesus picture of God’s kingdom, that is, of how God rules. God sows the seeds of goodness trusting that many will be fruitful. This sounds straightforward but it’s a radical announcement: this is how God RULES-by sowing seed. God does not determine the result by supernatural means, but rather waits on a “response” from the earth. But God is confident that there will be plentiful growth. There is no indication in the story abut the nature of these “seeds”; some Gospel writers thought of them as God’s Word, others have suggested that they are people, others again that they are Jesus’ ministry. Maybe in its original context, the nature of the sowing and the seeds was clearer, but as it is, the reader is left with a beautiful image of God’s work. One day there will be a harvest but meantime God sows.